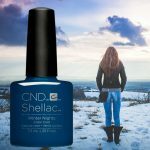 Gel nail polishes are strong nail polishes that cure under a UV lamp or LED lamp according to the brand and the composition of the gel nail polish. 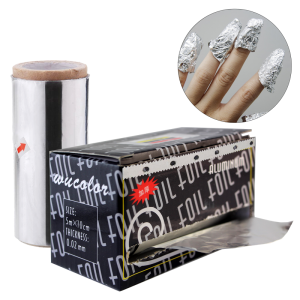 This gel polishes apply as regular nail polish but they need a special base coat and top coat, and all the coat need to be cured. Apply Scrub Fresh or another deshydrator on your nail to balance the pH of the nail. 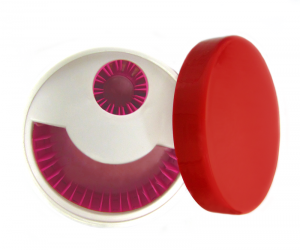 Apply the Gelish Foundation base and then cure under the LED lamp for 10 seconds or 1 minute under a UV lamp. 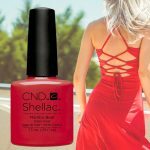 Apply two coats of your favorite gel nail color, curing each coat for 30 seconds under an LED lamp or 2 minutes under a UV lamp. 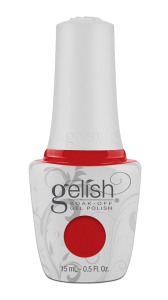 Apply the Gelish Top It Off finish and cure under the LED lamp for 30 seconds or 2 minutes under a UV lamp. Remove the sticky effect using a pad and the Nail Cleaner. Apply a coat of Base Coat Creative Play UV Polish and cure under a lamp (UV – LED or universal) for 20 seconds. 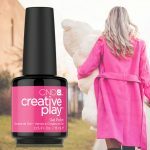 Apply 2 coats of your favorite Creative Play UV Polish color. Cure under a lamp (UV – LED or universal) for 1 minute at each coats. Apply a coat of Top Coat Creative Play UV Polish and cure under a lamp (UV – LED or universal) for 1 minute. Remove the sticky effect using a pad with 99% alcohol. The choice of the lamp depends on your frequency of use and the choice of gel polish. If you are a nail technician, you will use different types of gel nail polishes and your lamp will be used a lot. We therefore recommend a hybric lamp that cure both UV gel and led gel polish. If you use gel polishes for your personal use, a 36W UV lamp is perfect.